I'm about to leave on vacation for at least five weeks with no access to any sort of internet connection, so I'm going to update this journal one last time before I leave. 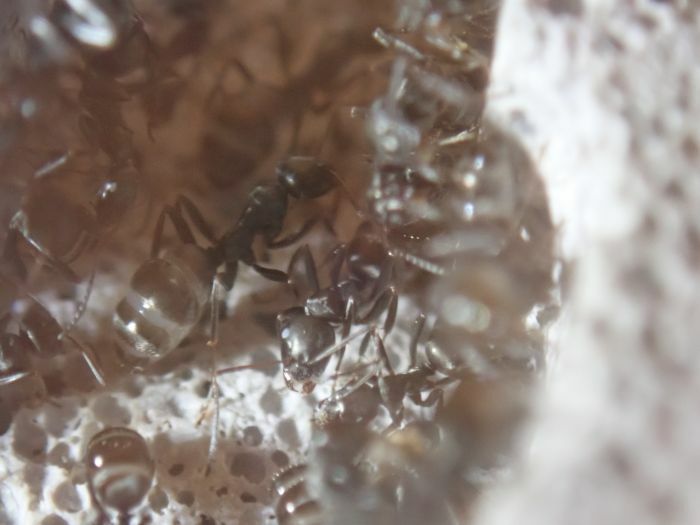 The small colony had a few more workers eclose; the total is now six workers. They also go their first large major. 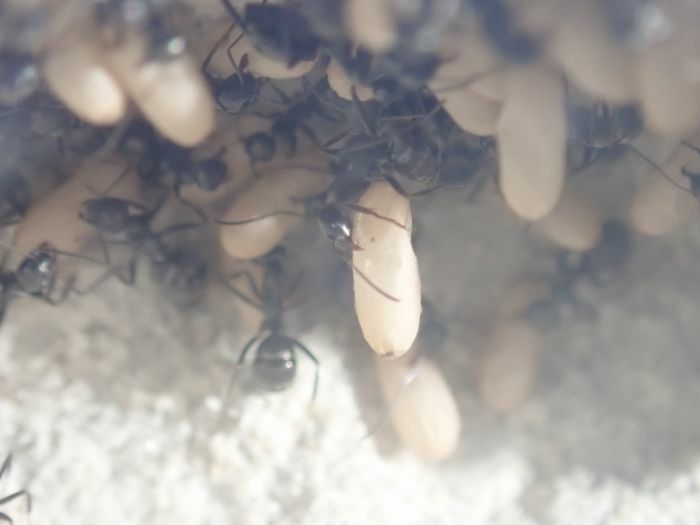 The large colony is at 30ish workers, but they have no brood other than one or two pupae. This paired with the fact that I'm leaving for several weeks, I think the easiest solution would be to reverse hibernate them. When they come out of hibernation, they'll have a new THA Fortress waiting for them. Edited by Mettcollsuss, October 25 2018 - 2:59 PM. The large colony just came out of reverse hibernation. Their Mini Hearth is really old and dirty, yet refuse to move to the THA Fortress I'm providing them. Sigh. 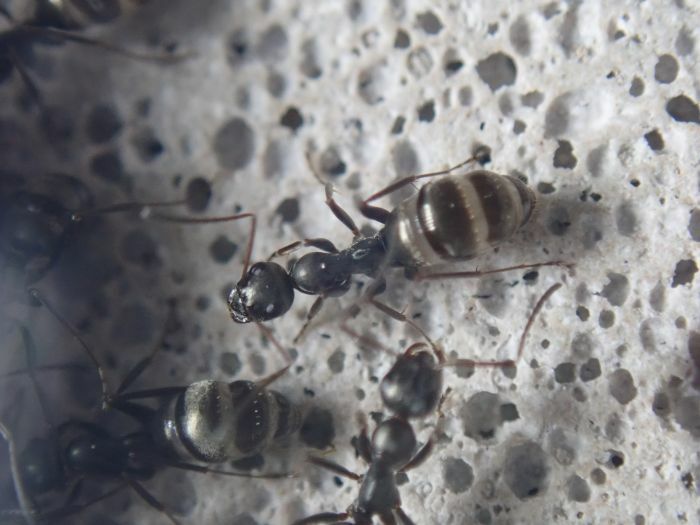 One of the queens I caught just got a nanitic batch of 6 workers. I'm going to sell them and the colony in the Inception Chamber. Why don't put the Minihearth in the Fortress foraging area and remove the glass? Edited by CoolColJ, August 28 2018 - 7:31 PM. 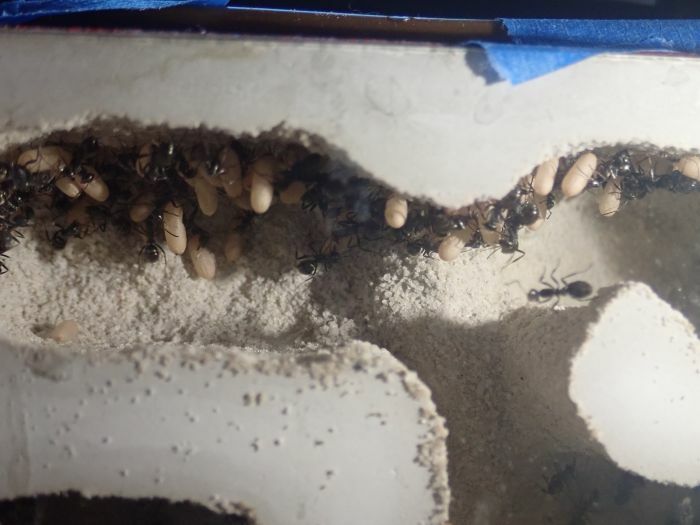 I just sold the Inception Chamber colony, but several of the new queens I caught over the summer have nanitics now. They're also gonna go up for sale pretty soon. After doing what CoolColJ suggested, I got them to move into the Fortress. I am using and old Hybrid Nest lid to cover the glass and keep it dark. A few days and two large crickets later, I peeked in and saw workers holding a clutch of 40-50 eggs . I have to admit I was kinda surprised to see eggs this soon after coming out of diapause. Now that the outworld's larger, it's really fun to watch them hunt down live fruit flies. Edited by Mettcollsuss, September 11 2018 - 3:26 AM. 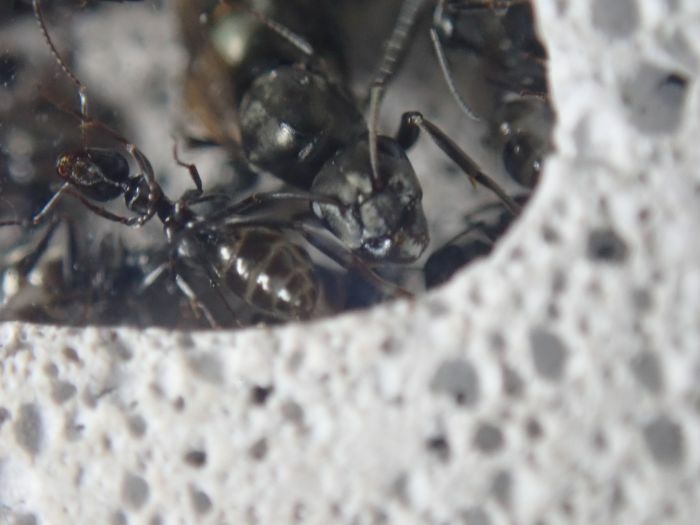 My colony's queen does not want to lay eggs. It's probably because she's ready for hibernation and most if not all species of Formica don't hibernate with their brood. 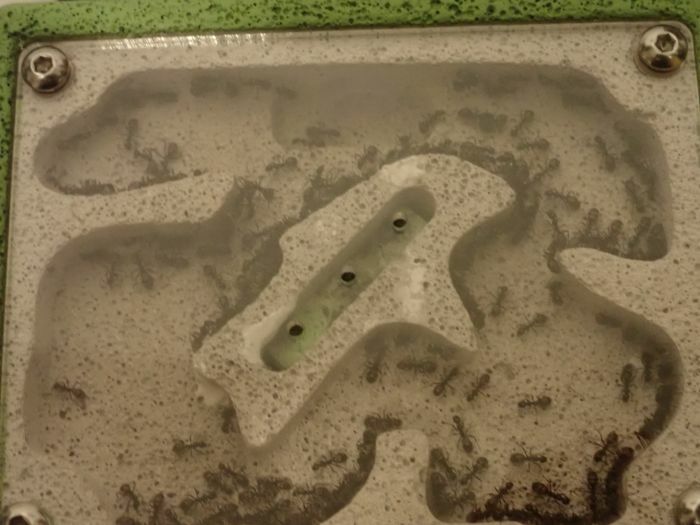 My Formica queen is doing the same. Yeah, I knew they don't hibernate with brood. I'm just sad no more workers are coming this year. Okay it's been a long time with no update. The first brood of the year is eclosing into callows. So far 5-10 have eclosed with another 20-30 pupae ready to eclose any day now. They also have maybe 40-50 larvae of assorted sizes and 20-30 eggs. It's only been a couple months since they were in diapause and they're about to double in size, maybe more. It's going to be a very fast growing year. Who knows, maybe they'll reach a mature size by their next diapause (or maybe I'm being a little too hopeful). 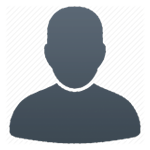 Please update soon. These queens fly in my area so I will get some next year! 60-70 workers now, with 30ish pupae left and a new batch of 20ish eggs. I'm hoping that this year —being their third year— will be their population boom year, and it's looking like it. I just moved them into this THA Fortress a couple months ago and they're already outgrowing it. And all this rapid growth is WITHOUT a heating cable. I wonder how fast they'll grow when I add one. I'm deciding between getting them a new, larger setup or just adding onto the old one. I'm leaning toward the former, though, as their Fortress glass is getting pretty foggy/dirty. A bunch more pupae just eclosed. They only have about a dozen pupae left. They're at roughly 100 workers. 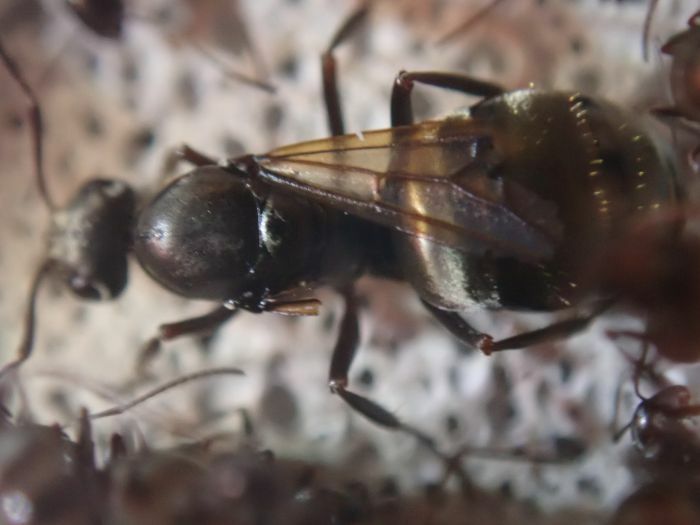 I'm hoping the queen lays more eggs soon; I want to keep this sudden population boom going. They have been eating a ton of honey and insects lately, though. I also added a heating cable, which should help. So the queen laid more eggs, but I guess they had kept them hidden well. I didn't notice that they had any brood for a while until today when I saw about 20 mid-size larvae. The larvae were in the chamber closest to the heating cable and spread out evenly on the ground. 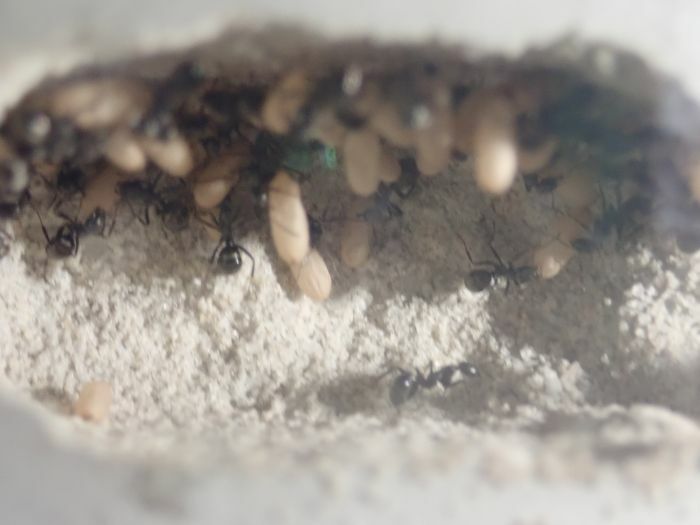 I've never seen this colony arrange their brood that way before. But they're still acting healthy, so I'm not concerned. They have a ton of pupae, I'm estimating about 30. All the pupae are being held by a worker hanging from the ceiling next to the heating cable. it looks really cool. Like a bunch of stalactites made of ants and pupae. I'll get photos as soon as I can. They just keep getting more and more brood. There's about 50 pupae plus a new batch of eggs. At this rate, the colony will about double in size within the next couple of months. Considering the colony is about old 2-3 years old, they should hit their exponential growth phase soon. So cool, hopefully they explode in population soon. By far one of my favorite species when they the colonies do get large. 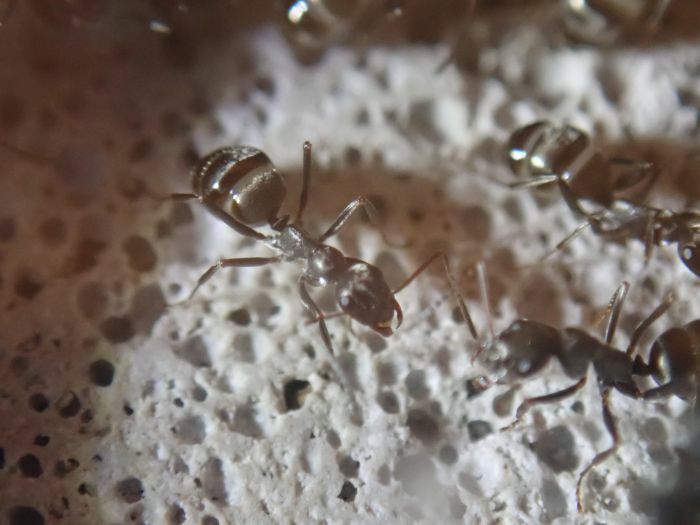 They finally moved into the AA Ytong nest! They have no brood at the moment, but that's not too surprising since their last batch only finished hatching a couple weeks ago. But they are still eating protein. I'll add photos soon. They already completely fill up the new nest. Once their next batch of brood hatches, they'll need another nest. I'm not gonna move them again, I'll just add a satellite nest.